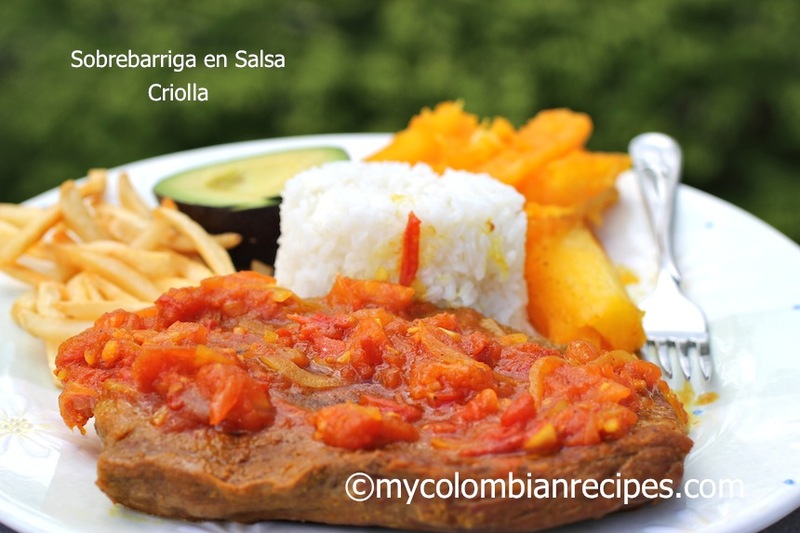 Sobrebarriga en Salsa Criolla is a traditional Colombian dish made with flank steak and a very flavorful Creole sauce. 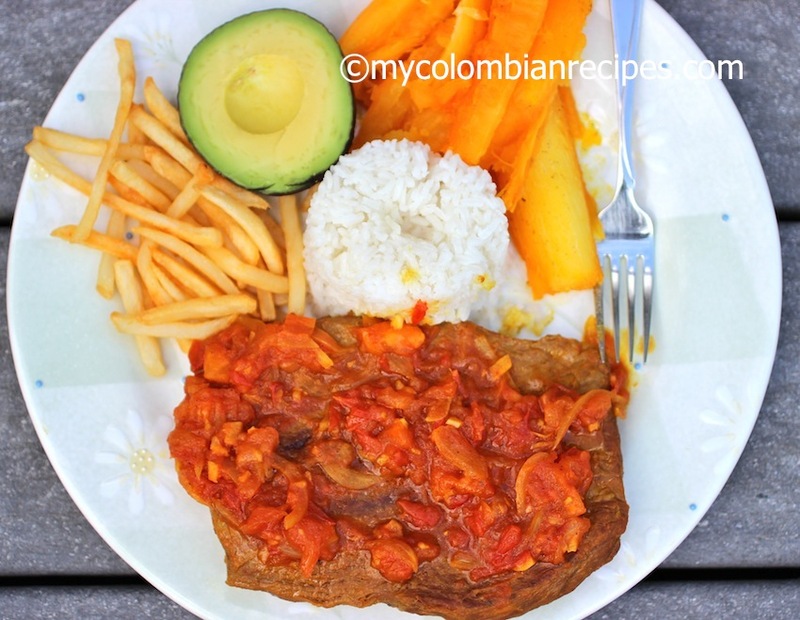 This dish was one of my grandmother’s favorite Colombian dishes and she made it at least once a month for our Sunday family dinners. 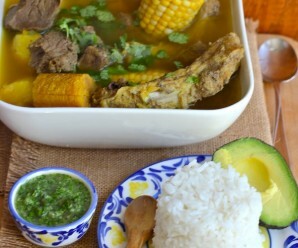 She usually served it with white rice, yuca, avocado and fries on the side. My grandmother taught us that food really brings the family together, and when I was growing up, it was a tradition for the whole family to gather at her house on Sunday afternoon for a traditional Colombian dinner. 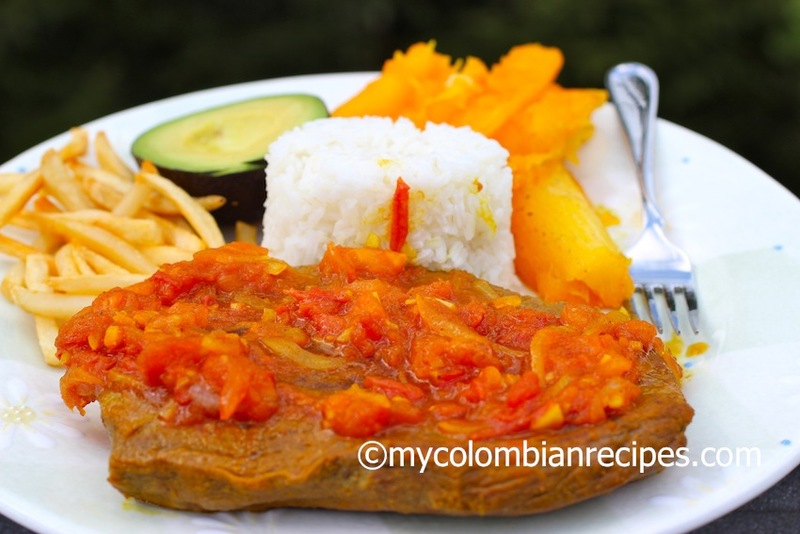 She made traditional Colombian food like Sancocho, Arroz con Pollo, and Sobrebarriga en Salsa Criolla, among others. I remember those days well, all the guys playing cards or watching soccer on the TV, the kids playing outside and the women helping Mamita in the kitchen, talking and having the table ready. The family loved getting together and eating Mamita’s food. It was a wonderful time! 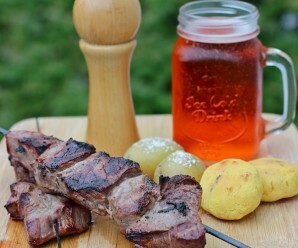 To make Sobrebarriga en Salsa Criolla, the flank steak has to be cooked for a long time and the meat will become very tender. You can make it using a regular pot, pressure cooker or a slow cooker. In a pot, place the flank steak, water, onion, scallions, garlic, salt and pepper. Cook over medium-low heat for about 3 hours or until the meat is tender. To make the sauce: In a saucepan, place the oil, tomatoes, red bell pepper, onions, scallions, garlic, achiote, cumin, salt and pepper. Cook for 6 to 8 minutes, stirring occasionally. To serve: Place the cooked flank steak on a plate and drizzle with the creole sauce. I’d love to try this. I’ve never had achiote though – I’d probably have to buy it online somewhere. Food coloring used in many spanish dishes. You know this is going to show on my dinner table! Erica, this looks so colorful and tasty! It has all the ingredients that I love. High for 3 to 4 hours. How can i make this in a pressure cooker? How much water for pressure cooking? Hi Erica, my fiancee is from Colombia and I got to try a lot of Colombian dishes over at his family. 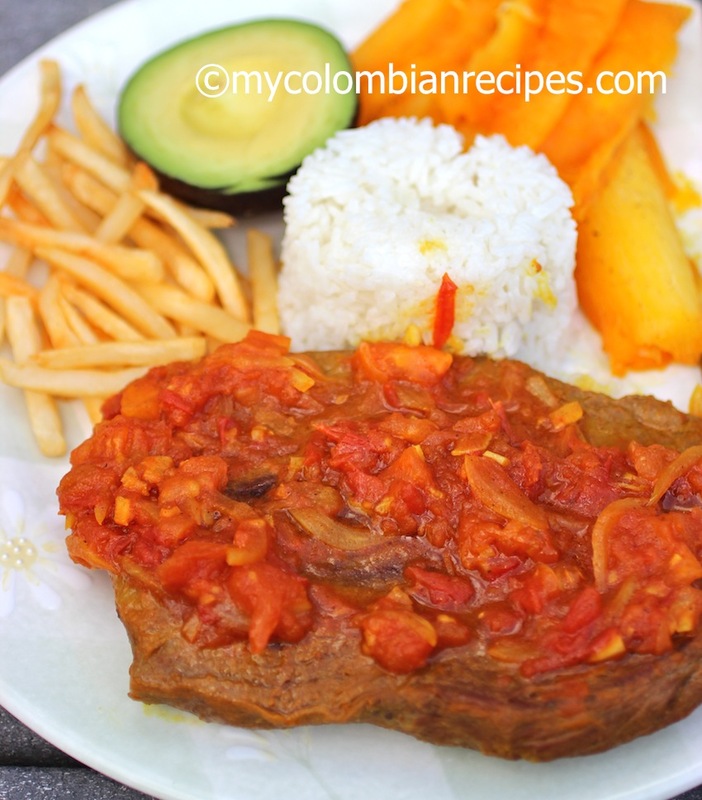 As I absolutely fell in love with Colombian food, I just had to try some of these recipes myself. So far, I always ended up at your page. It just has it all, and you don’t miss out on those small details that can make a huge difference. This Sobrebarriga is one of my (and my fiancee’s) favourites. I make it at least twice a month now. Same goes for Sancocho, Arepas and of course my man needs his Arroz con Pollo Colombian style. 😉 Next up is Lentejas con Chorizo, which I actually never had before. 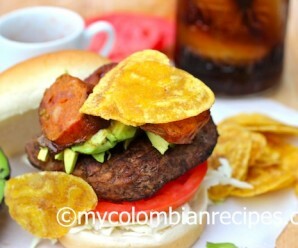 This is a pretty quick version of the original Colombian recipe. Everything sounds good except the fries, this dish is definitely not served with fries. 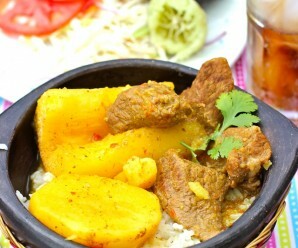 Imagine if Colombians would eat rice, yuca and fries together, they would be very unhealthy people ! It’s served traditionally with a Colombian salad.